An intimate look into my ego, id, and past life as Sultan of Kebab. Where to begin? 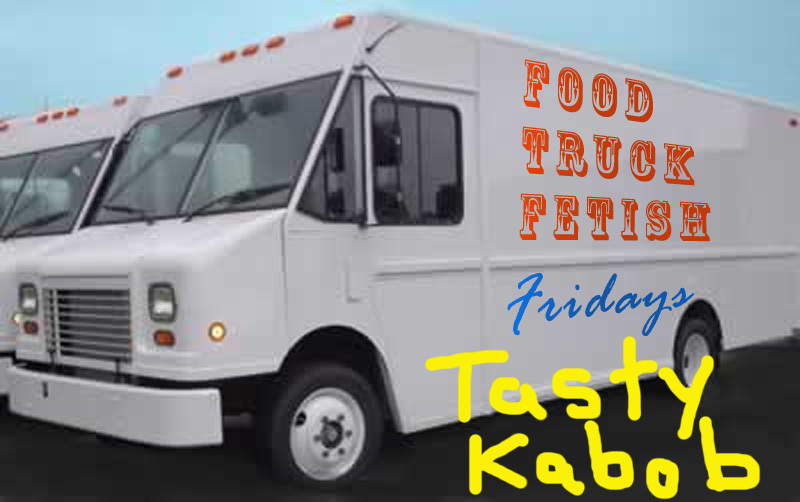 Well, let’s start with the name of the food truck: Tasty Kabob. Sounds pretty awesome, right? I mean, you see the word “kabob” and “tasty” together, and your mind automatically shifts into Attila the Hun mode: seek out kebabs and destroy them all…with your mouth. This is where it went all wrong. As my coupon entitled me to “free lunch for one,” I was certain I would soon be feasting on skewers of flame-grilled lamb or chicken, possibly over a bed of rice, and perhaps even a small side salad, as typically found on every Middle Eastern and Mediterranean restaurant menu residing between the Atlantic and Pacific Oceans. However, the sultan inside me was ill-prepared for the shock and disheartening awe that I was about to be served. Perhaps I shouldn’t have been so surprised. It was, after all, the cheapest item on their menu and since I had a gift certificate for “free” lunch, it makes sense for the business owner to give the poor slob a freakin’ gyro and send him back from whence he came. I waited for a few minutes, got my free gyro wrapped in shiny foil, and held back tears as I trudged back to my windowless office, where I sat in silence and pretended to enjoy my lunch. A few shreds of iceberg lettuce fell onto a stack of recent meeting notes, causing some alarm. However, I realized the lettuce leaves did not leave a healthy, greasy dollop of tzatziki sauce on my scribbled ideas for “communicating strategic linkages and synergies for global health partners in sub-Saharan Africa and beyond,” or some idealist crap like that. At that point, I knew this was going to be a long, dry slog to the finish. I proceeded to wash the arid meat wrap down with unfiltered tap water, attempting to at least salvage Friday’s afternoon meal with a perfect pairing of food and beverage. Success, at last. The gyro was, well, a gyro. Hell, let’s just do away with trying to give it the proper pronunciation (yee-ro, hyee-ro) and just call it a damn jyro. The only saving-grace was that the lamb was actually grilled chunks of meat rather than the usual shaved lamb cone, most likely because it was an actual kebab at one point. However, once it hit the pita, it was covered in iceberg lettuce, a tomato slice, and a skimpy pat of what I believe was supposed to be cucumber sauce with dill. 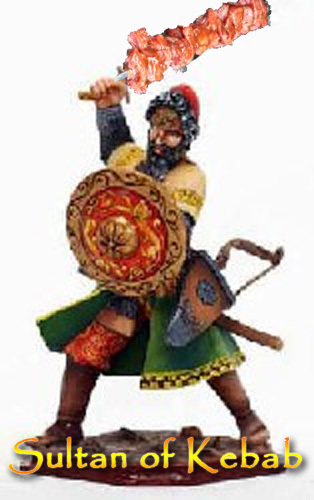 The kebab was mercilessly shot down from the elevated heights of Mount Olympus, left to plummet toward a hardened reality on par with the debt crisis in Greece. I won’t really hold my gyro disappointment experience over their head in this category, but I will mention that they screwed up the order from the woman in front of me…twice. She noted they didn’t add the spinach or chickpeas, which they corrected by adding spinach. When she didn’t get the chickpeas, they offered to make her a new platter (and make her wait again while they did so). Not a huge deal for me–I was actually laughing (little did I know, the joke was soon to be on me). They also ran out of change during lunch time, so they requested that, henceforth, all patrons use credit cards. Again, not a deal breaker–especially since I had a coupon for free lunch–but when you work a food truck every day, seems to me a blatant sign of being unprepared. Recommended dish: Hard to say, but probably something from a different food truck. If you want a gyro, you can easily go to one of the other 2,369 outlets in Washington, D.C. serving them with a hearty slathering of tzatziki without standing in line outside. If you want a kebab, there are several other food trucks in the area that serve them up. Next week, I will review Tapas Truck, where my faith in food trucks was surprisingly redeemed by a food concept that I once held in contempt for many reasons. This entry was posted in Lifestyle and tagged DC, food, Friday, gyro, kebab, review, Tasty Kabob, truck, Washington by Troy Beckman. Bookmark the permalink.